My car's battery died. I was out of town. It was a Saturday. Not a pretty picture. I called the Mercedes Benz roadside assistance. They got me in touch with MB of South Mississippi. Chris handled the paperwork while Pat made his way to me with a new battery. Both guys were top notch. They made this whole process seamless and painless. I was on my way within an hour - what more could one wish for. WORDS CANT EXPLAIN HOW awesome This DealerShip treated me I’m talking about as soon as I step inside the dealership I was immediately assistance with kindness, Danny was amazing!! He treated me like I was the CEO of Mercedes Benz, he made sure I was comfortable and had all the information I needed before I bought my car.. But it’s even better when every employee inside Mercedes Benz of South Mississippi made me feel like family.. Also Ms.Susan was wonderful!!! She got the job done fast and effectively.. I’m still amazed how fast she got me my Mercedes Benz.. If I could give this Place 10 STARS ✨ ⭐️ I would. This Place do more then sells cars, They Change Lives❤️ THANK YOU Mercedes Benz Of South Mississippi!!!!!!!!!!!!!!!!!!! Great service and attention given for the problem with my car. I brought it in on a Saturday and they looked at it right away and gave me a loaner because a part had to be ordered. Great staff and great service. My salesman was extremely knowledgeable and very helpful with test drive and demonstration. Great dealership to purchase a car!!! I had a very pleasant experience with Nate in the sales department. He explained the functions in the vehicle, financing options, and other additional information when I went for a test drive.One of the other salespeople (Josh?) took me for a drive to show me how the Sport Chrono and launch work. I had some much fun! Fantastic service!!! My service advisor was excellent!!! Sewell as my salesman!!! Thank you for the great service as always!!! HOSPITALITY IS ALWAYS THE GREATEST. Celeste was very nice and helpful. Great service and great deals. Definitely recommend this dealership and will be returning for future cars. The service advisor was very prompt and courteous. He explained all aspects of the requested service for my Kia forte. Including prices and warranty info. I went to the Service Department at Ray Brandt Kia after the sensors on my tires indicated my tires all had different air pressures and also a warning to check both the right headlight and brake light. In less than 40 minutes, the tech had corrected the tire pressure issue, determined that a connection was loose on my headlight and the bulb was blown on the brake light. As always, I received a detailed report of everything that was done and was on my way. 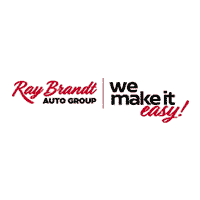 Ray Brandt Kia always provides courteous, professional and fast service with a smile. Nice people ; great service. Lady who receives your payments in service department is a jewel ! Bree the cashier was absolutely delightful. She was very knowledgeable about the types of service and extremely pleasant! The service rep was very efficient. She’s a little frigid though. Overall...great experience thanks to the speed of service and Mrs. Bree!! Quick and efficient. Nice waiting area. Service personnel at Ray Brandt Toyota took the time to explain all the steps that were done and why it was important. Very patient and relaxed atmosphere. Went in for oil change & tire rotation. Quick check-in. They gave me a ride to work. Shuttle driver was very nice, courteous & drive safely. In 2 hours, they called to say the car was ready and that they would pick me up at work. Got picked up within 30 minutes & I was back at work quickly. Thanks for the great service! Service and repairs representatives (including those working on my car) were SUPER helpful, informative, and patient. Great location! Everyone is very helpful, professional, and knowledgeable. What a wonderful experience! Professional service from Norm Frost, fast and efficient service from finance, and we were treated great! Would definitely buy from here again! The BEST car buying experience we’ve ever had!